In 2018, social housing continue to "burning"
Two years ago, because many social security projects were implemented at the same time, only projects near the center were paid attention by the buyers. Up to now, buyers have hunted for projects far from the center because there are not many options when the number of projects deployed less and less. In 2017, only three social housing projects near the center will be sold: Tam Trinh (Hoang Mai), Minh Khai (Hai Ba Trung) and Kien Hung (Ha Dong). 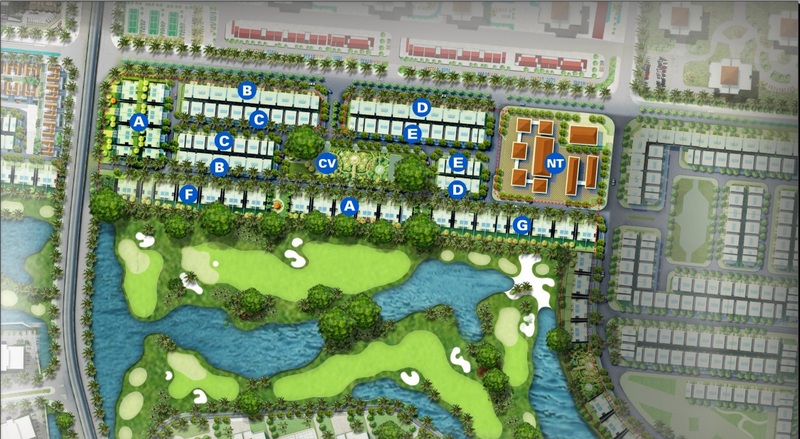 In addition, there are two projects to be sold: Bright City (Hoai Duc) and Phu Lam (Ha Dong). The project has provided thousands of apartments in the market but not enough to meet the needs of low income people. There are projects to sell all need 3-6 months but there are projects sold out as soon as the sale. According to Vu Kim Giang, General Director of Hai Phat Real Estate Joint Stock Company - the owner of Phu Lam social housing (Ha Dong), at present, the suburban social welfare projects are very expensive. The project is located near the new center attracting buyers. The reason is that investors focus on infrastructure investment (kindergarten, landscape green, play area, gym ...) so that home buyers do not have the feeling of living in a cheap housing. "The project in Phu Lam also had a bad time of sales at the end of the package of 30,000 billion dong, but now we have only a few apartments out of a total of nearly 2,000 apartments," Giang said. The demand for housing in this segment is very high even though the investor does not have to take any publicity. " Deputy Director of the Hanoi Department of Construction, Nguyen Chi Dung, said that in 2017, Hanoi has a total of more than 11 million m2 of new floor development housing, of which more than 60,000 m2 of social security. According to the Department, in 2018, Department will continue to review, implement measures to remove difficulties, promote market development; diversifying products, adjusting the planning and scale of projects. Le Hoang Chau, chairman of HCM City Real Estate Association (HoREA), said that he has visited many countries, both capitalist countries and found that these countries have programs and policies to develop social security to solve. The minimum housing requirement for low income people, immigrants, typically Korea, France, Singapore and Indonesia. "The state plays a key role, creating policies, especially land fund policies, tax policies, and preferential credit policies to support the development of social security projects," said HoREA President. Providing preferential credit for consumers to hire, hire and hire social insurance suitable for different types of subjects. According to Chau, attaching importance to the policy of social security development, the State has put into the Housing Law from 2005 to now. According to the Ministry of Construction, in the period 2011-2020, the country needs about 440,000 social housing. However, to date, the implementation has reached about 28% of the plan. Chau said, a bottleneck in the development of social security is the credit capital, refinancing mechanism, interest rate subsidy to credit institutions designated to participate in social security. Currently, the budget has not been sufficiently allocated, making the implementation of social security policy difficult. 30,000 billion VND incentive package for social security terminated without new capital. In addition, according to the Housing Law, investors of commercial housing projects have to spend 20% of the business project land for social security development, but Chau said that many large urban projects do not have funds this land. Meanwhile, at a recent meeting of the Ministry of Construction, Vietnam Real Estate Association (VNREA) Chairman Nguyen Tran Nam said that according to a survey of this unit and the Thai Real Estate Business and Marketing Association Lan (Resam), at the project in Vietnam, the product sold by investors in 23 months. Especially with social housing, selling time is only 6 months since launching.